This is the hardest review I’ve ever had to write. When you write a review, you want it to be cohesive. You don’t want to ramble on too much, and you certainly don’t want to, oh, I dunno, scream at the top of your lungs about how incredible a movie is. So you can understand the bind I’m in when it comes to the latest addition to the Marvel Cinematic Universe: Black Panther. I really just want to post a gif of me trying my hardest not to cry away my mascara and call the review done. Shout out to my partner’s hand for the times I had it in a death grip during the screening, and the ears of those around me for when I belted out a triumphant cry or fell into uncontrollable fits of laughter. During the end credits—or, more accurately, after the mid- and post-credits scenes—I tried to gather my thoughts on what exactly I wanted to talk about. I could talk about the cultural significance of Wakanda, right down to the clothing and every strand of natural hair. 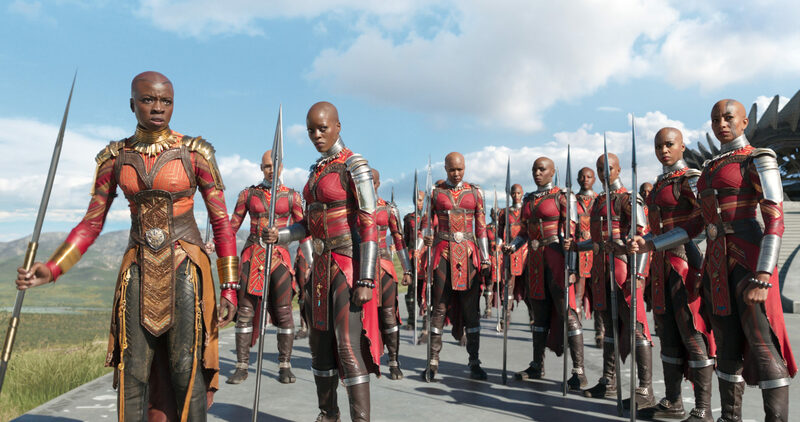 I could talk about the dynamic performances, especially when it comes to the mutha flippin’ Dora Milaje. I could write an entire thesis on why Shuri (Letitia Wright) is best girl and how she needs to have a section dedicated to her alongside Disney’s other princesses. There’s so much to unpack, and much like the movie’s rumored original four-hour cut, I knew I had to edit it down. So, I’ve decided to discuss how Black Panther is better than Captain America: Civil War. You could take that to mean I think that it’s better than that movie (which I did enjoy, by the way), but what I mean is that it portrayed a conflict within a close-knit group much better. To the rest of the world, Wakanda is a third-world country not worth a second glance, but hidden amid the greenery is the most technologically advanced society on the entire planet—perhaps even in the galaxy. 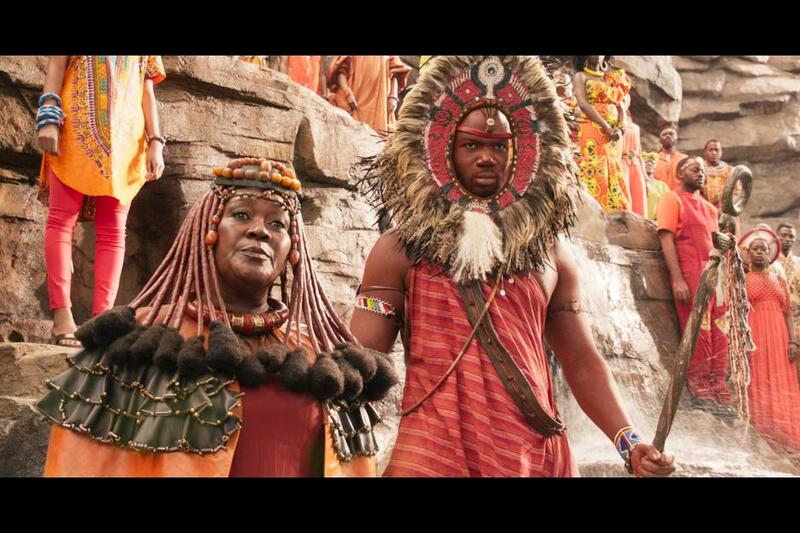 Wakanda is the embodiment of Afrofuturism, a combination of mind-boggling tech and glorious traditions that are a clear nod to African culture, and that’s what makes the first act so special. Like Asgard or the unique planets that Star-Lord has traveled to, Wakanda is a dazzling spectacle to behold. But unlike those fantastical places, its culture is very real, and the impact of seeing black joy and celebration in a superhero setting is indescribable. For me, Wakanda has always been here; the rest of the world just didn’t realize it. 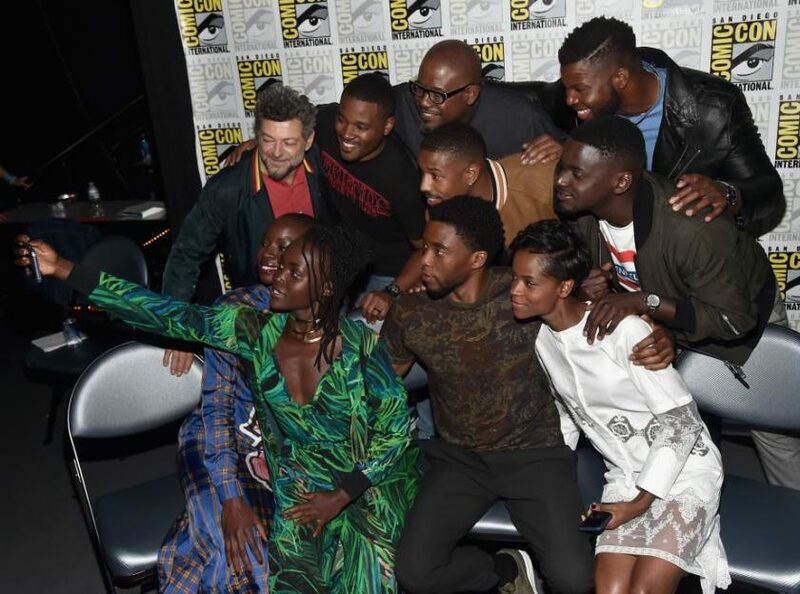 The conflict that comes up in the film is whether or not Wakanda should stay hidden, as there are people out there who could use its people’s help, as pointed out by Nakia (Lupita Nyong’o) and even the main antagonist, Erik Killmonger (Michael B. Jordan). 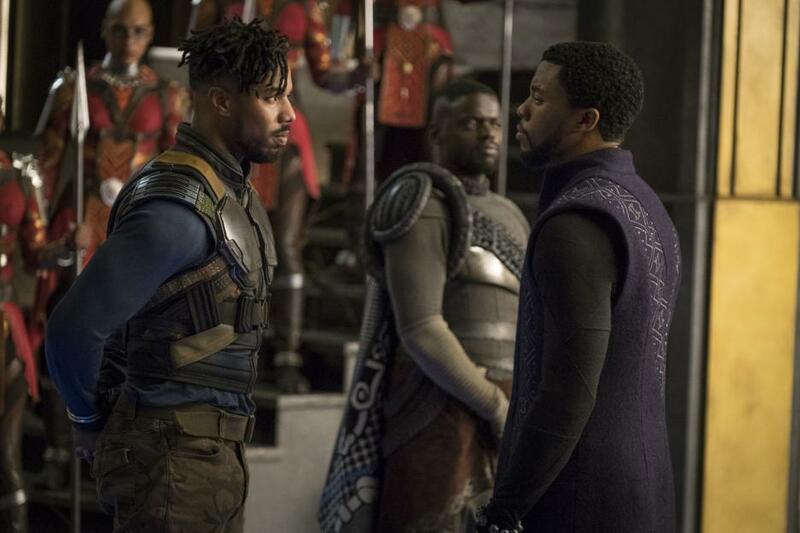 This becomes increasingly poignant because the movie doesn’t shy away from the fact that it’s other black folks who could use a helping hand, so the question becomes: Do the Wakandans make themselves known by going out and helping their own, or do they keep their secrets to themselves? On the surface, it’s a story about the younger generation dealing with long-running traditions in a new era. Times have changed, it’s time to move in a new direction—you’ve heard that story before. But Black Panther having a predominantly black cast changes the narrative, and if you don’t understand why, the movie spells it out for you in the first five minutes. We get narration about the origins of Black Panther and see all-too-familiar reminders of what the world has done to black people, so you immediately understand why Wakanda isn’t jumping at the chance to put itself out there. 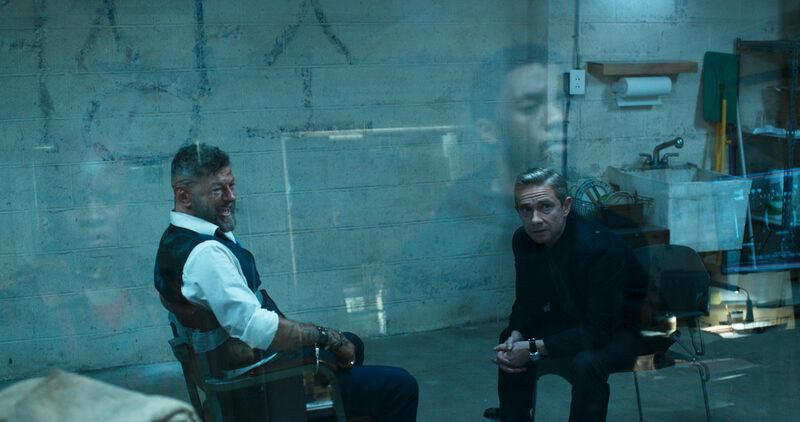 Ulysses Klaue (Andy Serkis) is out here using Vibranium he stole from the Wakandans—which, of course, he blames them for, because they’re the ones who possess it—while Everett Ross (Martin Freeman) enters the movie with a very “I’m doing you a favor” attitude. Gotta love them well-meaning allies, right? But wait, you say! T’Challa and the others shouldn’t form their opinions based solely on two lone white people making asses of themselves. Huh. That sounds familiar for some reason, but I can’t quite put my finger on it . . . This becomes even more complicated when you learn who Killmonger is. But even without that connection, you can understand how a black villain would just want to wreck the world and start all over. The world is kind of a mess, y’all. Killmonger is that rage you feel when you see more black names becoming death hashtags, that voice that wonders what would happen if you became as savage as the world thinks you are. It’s a dangerous, but painfully real, train of thought, especially since Wakanda has the means to obliterate everything with just the toss of a beaded bracelet. But you sympathize with Killmonger because you can see where he’s coming from, and you don’t really blame certain Wakandan tribes for siding with him. It’s called reaching your breaking point—everyone’s got one, and it’s getting easier to get there these days. The worst part? That moment when T’Challa (Chadwick Boseman) realizes just how out of touch Wakanda is. His people have protected themselves so much that some of them have become, well . . . Killmonger. How can you blame someone for their ideologies when it’s partially your fault? I won’t go into major spoilers, but that question will hit much harder when you see the movie. See why I think it’s a better Civil War than Civil War was? As much as I loved watching that airport scene, I can’t really tell you why some of them were fighting each other. It was really Tony’s and Steve’s fight, if we’re gonna be honest. 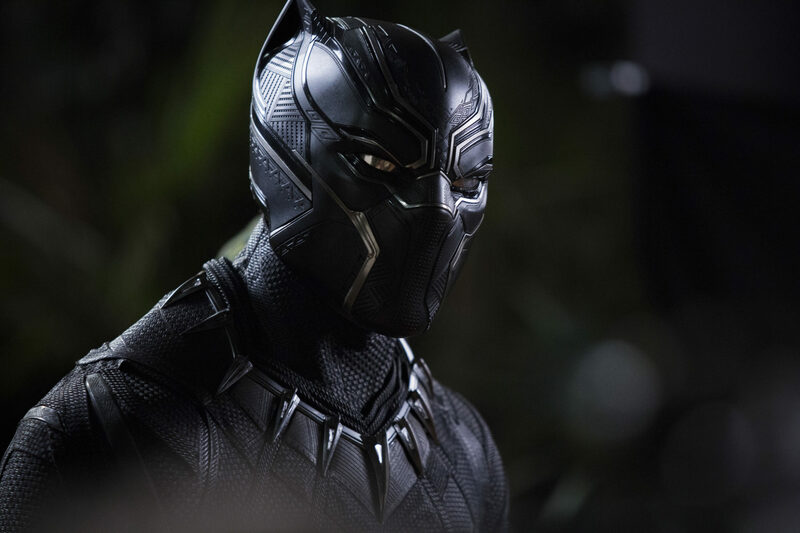 But Black Panther delivers a culturally relevant conflict through slick fight scenes, stunning performances, and awe-inspiring storytelling. It’s something that all audiences can comprehend, and it’s something that I hope we all continue to discuss from here on out.